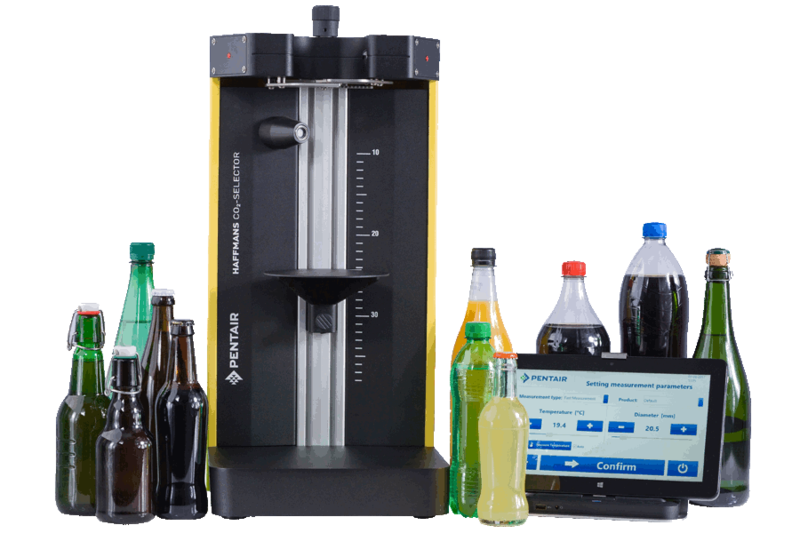 The Haffmans Automator provides a tailor-made system for automatic package content analysis. 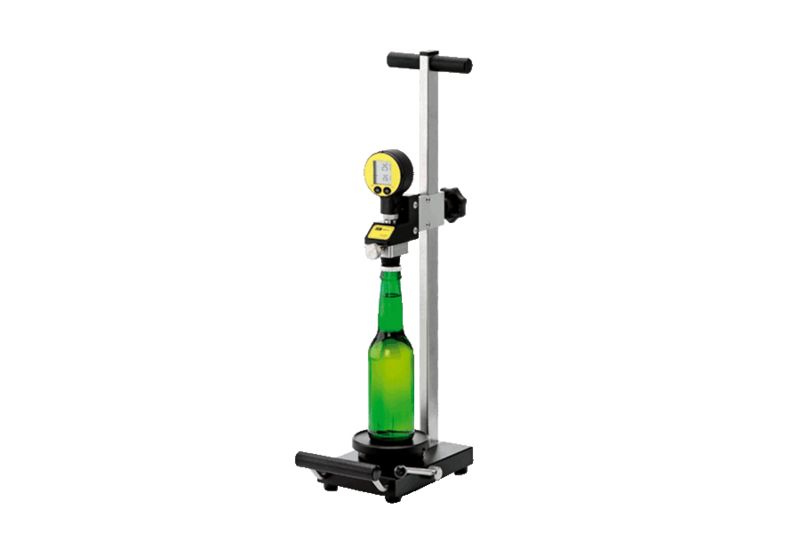 In addition to the basic parameters of oxygen (O2) and carbon dioxide (CO2), the system can be extended for alcohol, turbidity, pH value or others to meet specific requirements. Using proven Pentair Haffmans measuring technology, several product properties are analyzed in one measuring cycle. This results in more information with less effort and provides immediate insight into the filling operation performance. The standard configuration includes determination of headspace oxygen (HSO), dissolved oxygen (DO), total package oxygen (TPO), dissolved CO2, and headspace volume. You decide, if any additional measurements are included in the system. 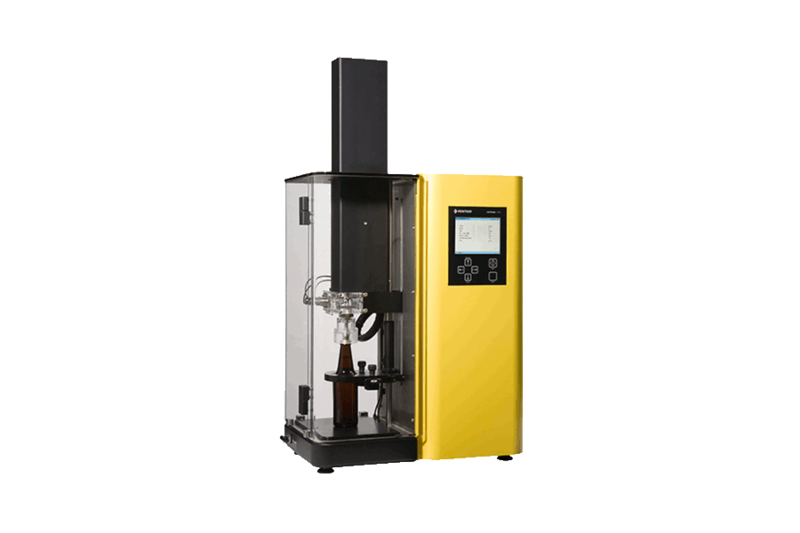 The autosampler is a crucial feature of the Haffmans Automator as it eliminates the need for the samples to be put into the device separately and be processed one-by-one. 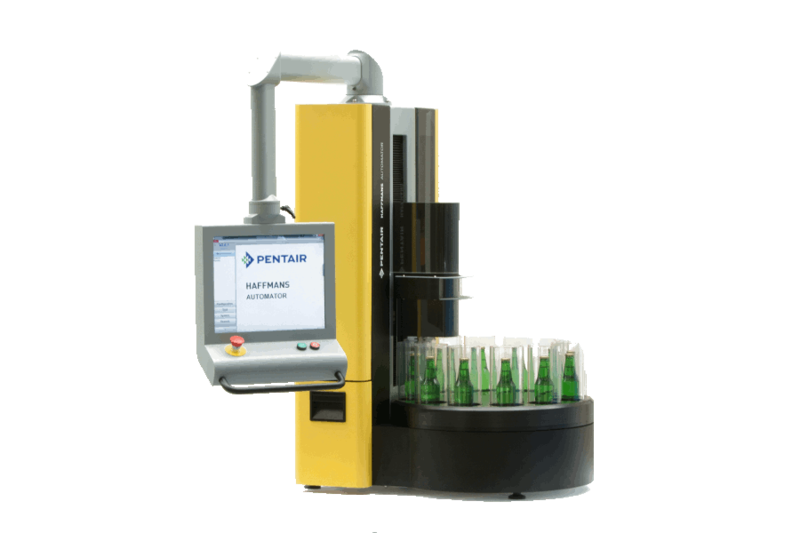 After the sample is loaded onto the autosampler, sample processing is fully automatic, which significantly reduces labor requirements and enables the operator to take care of the primary packaging process. The differentiated measurement of headspace O2 and DO provides immediate insight in the performance of the filling operation. Fully automated, multiple determinations of TPO and CO2.